Happy New Year! From all at Toolkit, we wish you a very happy and very healthy 2019. In 2018, we saw the GDPR law come into play, Google's Mobile First index rolled out and Browsers change their stance on HTTPS (SSL). So what's new & expected in 2019? We've actually been working on a brand new platform ahead of the new year. Our new platform, Webkit 5 , has been built to improve many aspects of our websites, but mostly: speed & functionality. A lot is expected from websites nowadays. From gorgeous, hi-res photos to fancy contact forms, sites on the web are jam packed with awesome features. The more you add to a site though, the longer it takes to load which can have a negative impact on your SEO and User Experience. We'd hate to have to compromise on the awesome features of a website, weighing better loading speed against what looks good. So instead, we built a platform that makes websites faster. 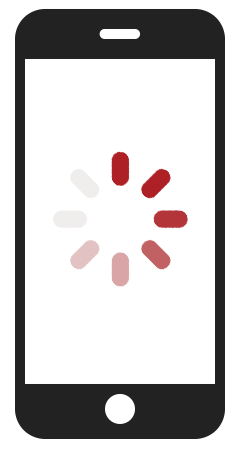 No one will wait indefinitely for a website to load. With information being at our fingertips instantly thanks to smart phones and tablets, users aren't prepared to wait 10 seconds for a web page to load. What new features are seen in Webkit 5 ? How does Webkit 5 help website loading speed? Lets start with Lazy Loading. For websites on previous platforms, when a browser loaded a web page, it loaded everything. This includes images, social media feeds, videos, forms and everything else. The flaw of this is that the browser has to load elements that users can't yet even see. Lazy Loading is a fantastic new feature that allows browsers to only load the areas of the page your users actually use. This means the browser doesn't attempt to load images, files or videos that are lower down on a page and not yet in view. 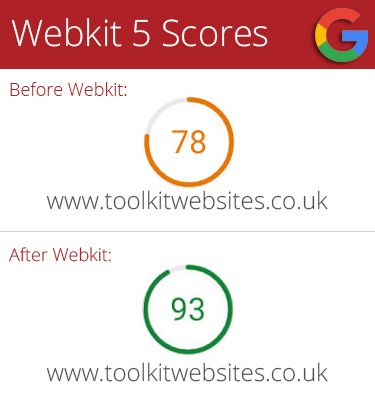 For Webkit 5 , we've also worked incredibly hard to decrease the size of the files required to render a website, without removing any important aspects. The size of these has been reduced by up to 27%, meaning browsers have less to render and your pages load faster. We've also changed the way we serve files in Webkit 5. Files will now be served parallel with each other instead of one at a time, meaning your web pages load faster. Imagine a waiter in a restaurant bought 4 plates over at a time, instead of 1 at a time. Service would be completed faster. We’re super excited to get Webkit 5 released this year, but in the meantime you can read more here. Although Webkit 5 is going to be the biggest new aspect of our 2019, as normal we will strive to continue delivering Passionate Support and building beautiful websites throughout this new year and advising as and when other changes are announced with Google & the major Browsers.